This collection of canisters combines the very best of ethical craftsmanship and eco-friendly design. Each piece is handmade on the island of Zanzibar, Tanzania from recycled wine bottles. Artisans carve each lid from local Mninga wood with traditional techniques and Swahili design. Glass measures approximately 6.5" tall x 3" wide. 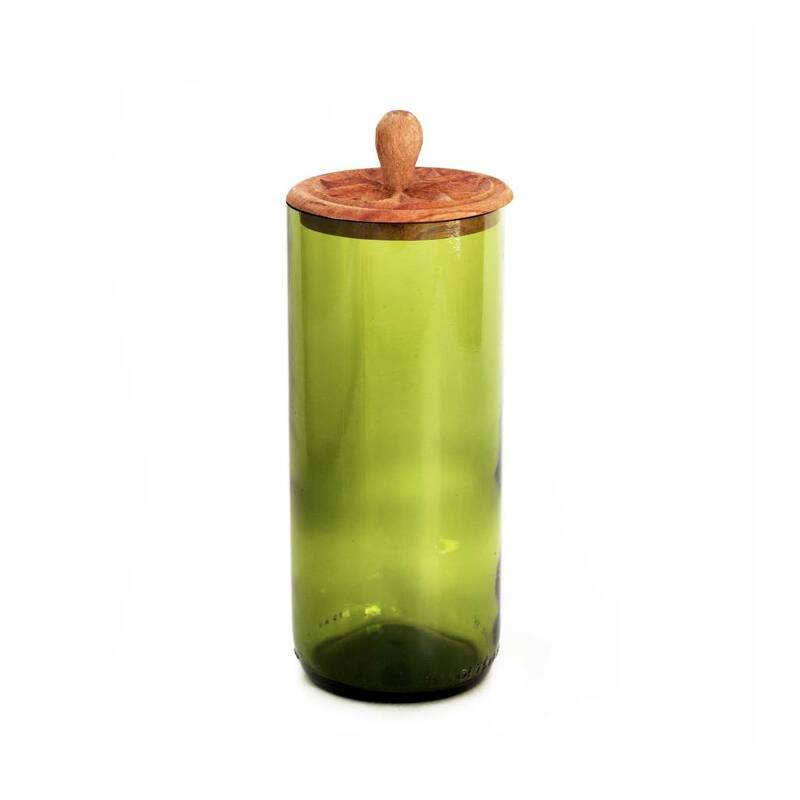 Wooden lid extends 1" above glass canister.